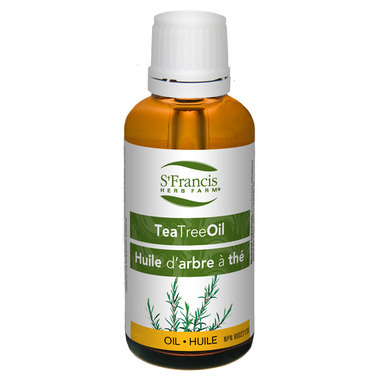 Tea Tree Oil helps to improve symptoms of fungal nail bed infections. Suggested Usage: Apply sparingly to affected nail(s) with cotton swab 2x daily. Cautions and Warnings: Not for internal use. Consult a health care practitioner before use if pregnant or breastfeeding. Avoid contact with eyes and mucous membranes. Consult a health care practitioner if symptoms worsen or persist. Known Adverse Reactions: Allergic contact dermatitis has occurred in sensitive individuals; discontinue use if rash or irritation occurs. Loving this tea tree oil. It seems better made than others I have tried, and I have tried many. Good price for 100 ml bottle. Glad to support a Canadian business. Quality product. Been using it to get rid of athletes food. Working wonderfully.